The book covers a period spanning much of the twentieth century and the early part of the twenty-first illuminating aspects of European history and politics. The chapters cover the author's life, first as a child, growing up in the pre-Nazi period in Germany, then by emigration from Germany via Denmark to Britain. This was in the autumn of 1933, when Rene arrived in Harwich from Esbjaerg. The author soon acquired British nationality and have lived here since 1933 for 80 years. 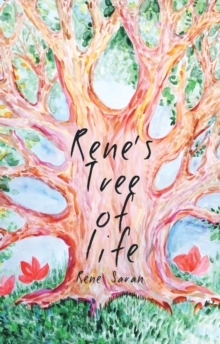 Even at the age of 12, Rene was aware of the rise of fascism when growing up in Berlin and had parents (Max and Maria Hodann) who were both politically very involved in fighting the Nazis - both became refugees. Rene acquired an international outlook during childhood from those who surrounded her in Berlin, where she lived to the age of 12. In the U.K. Rene became Rita Hinden's secretary at the Fabian Colonial Bureau, this job turned her into a `citizen of the world'. She met people from West to East, with Trinidad at one end to Malaysia at the other. Many became good friends with some a life-long closer contact developed. Later she laughed when at her home in Kings Gardens it was suddenly discovered that two Senators were sharing their meal with her, Muriel Green from Trinidad and Manae Kubota from Japan. Both had been mature students at Hillcroft College in Surbiton, where Rene taught for ten years. The book also covers other important aspects of the author's life, including how she has lived in various political communities in both Germany and the U.K.
As well as how she has stood up for others and been politically active, at both grass routes level working on political publications as well as being a Labour Governor at two London schools.